JOIN US IN PLAYA DEL CARMEN August 1-8, 2019! All countries are allowed to compete in Mexico next summer!! Our host hotels is Panama Jack (family-friendly). The hotel is situated on the famous shopping area of 5th avenue! 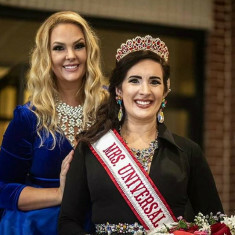 The Universal Pageant was voted in the TOP 4 pageants for married women and top 8 pageants for mothers to compete in, as well as "Who's Who in Pageantry". We have been established as an organization with integrity, values, resilience, and one that goes above and beyond any other pageant that you've been a part of before. If you are active in your community, the Universal Pageant is a certified organization for the PSVA (Presidential Volunteer Service Award). When contestants were asked about WHAT drew them to this system, responses were: "The community service aspect! Other pageants force you to choose ONE platform which is theirs, or say they care about the community, but at the end of the day, it didn't matter. This pageant system REALLY does care, and we get to choose what is special to us!" 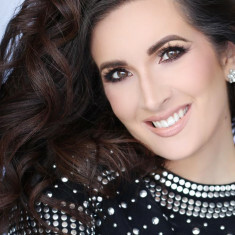 Others have said that the reason they joined was the accessibility to the director, or that this pageant system really is "Universal" because you can't pick out the top contenders by the way they look like other pageant systems. There is no "type" here and all fit a different mold. Each woman is unique in her own way and this pageant encourages other to be comfortable in their own skin. "They really ARE looking for the UNIVERSAL woman."